Surprise your loved one with a fruit basket and share the freshness and flavor of each fruit. Fruit basket includes apples, oranges, pears, bananas, pineapple, grapes and other fruits in season. They’ll yell with delight when they receive this gift basket full of sweet and savory treats like chips, chocolate candies, cookies, beverages of choice and more. Easy to share, it’s a great gift for all ages. A basket designed to satisfy the insatiable chocoholic. It is packed to the top with chocolate. This amazing basket will be a chocolate lover’s dream! Breakfast is the most important meal of the day! Nothing says “we’re thinking of you” better than a breakfast gift basket packed with delightful foods. Some items in this gift basket to include: Muffins, Bagels, Jams, juice of choice, cocoa, tea or coffee and so much more depending on the basket size! Being sick is not fun. 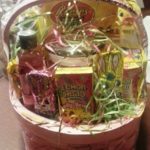 What better way than to surprise the sick and shut in with a Get Well Basket full of goodies to brighten their day? Basket includes: Soup, Crackers, tea, juice, fruit and more. 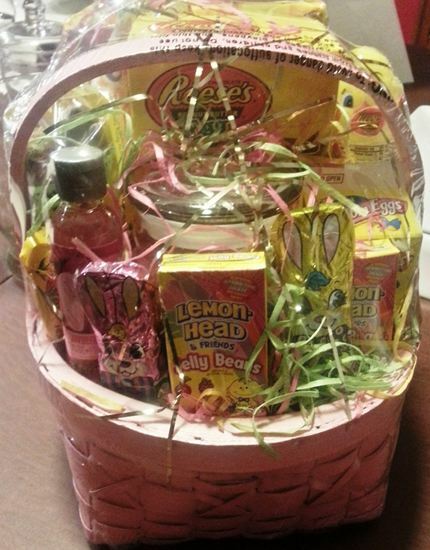 A bowl, spoon, Kleenex and teddy bear is also included in this basket!